Florida Highway Patrol say they are looking for a hit-and-run driver of a vehicle that was driving down I-75 on Sunday and swerved into a motorcycle causing the driver to wreck. 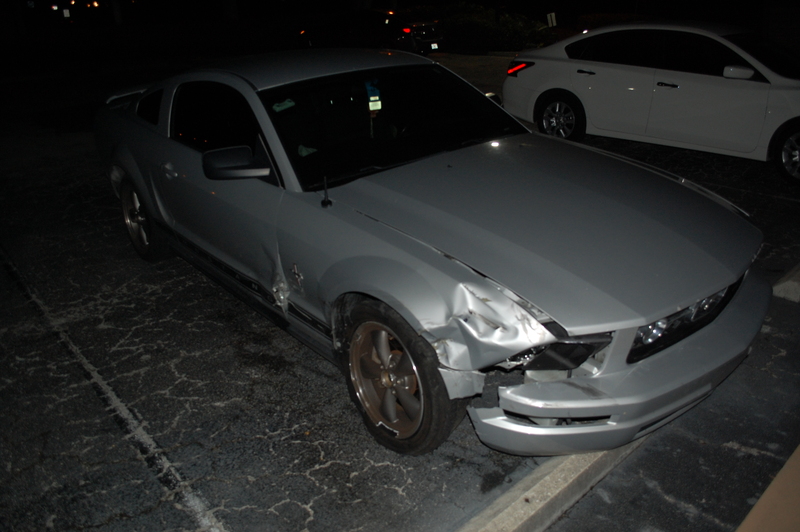 According to FHP, the driver was in a silver Mustang that can be seen in the pictures with damage to the front side of the car. FHP say the driver swerved across multiple lanes before making contact with the rear end of the motorcycle causing the driver of the bike to wreck. 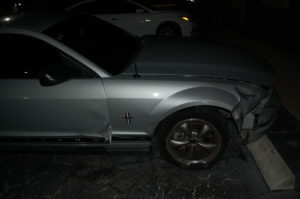 The Mustang was found abandoned at an address off of Executive Drive in Naples and impounded shortly thereafter. Anyone who may have witnessed this crash or has any knowledge as to the identity of the hit and run driver is urged to contact the Florida Highway Patrol at 239-938-1800 or Crimestoppers.